And he speaks of the beauty in ambient music, and its connection to nature. 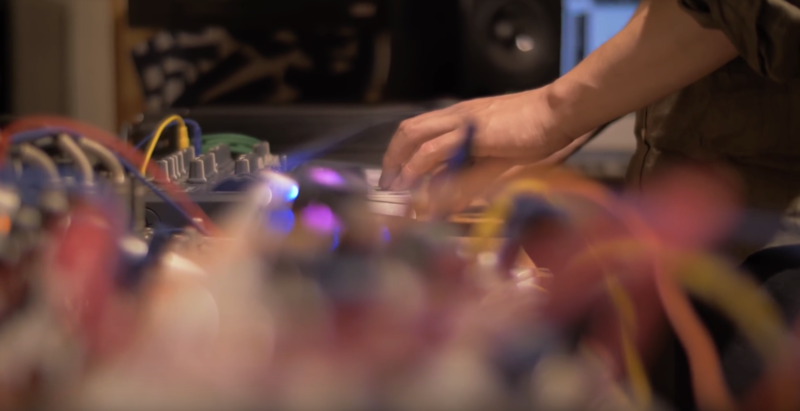 And while solitude in computer music is often seen as something of a liability, here he talks about its importance – as he uses that laptop as a box for editing improvisations. Being able to create music alone made it more personal. The music that I wanted to make could now express my mind – what I felt inside. It’s a deeply personal film all over, and even talks about the journey from electronic sounds on dancefloors to the quieter, more contemplative world of ambient music. And he finds that moment of liberating himself from the beat – not by trying to copy what people would call ambient music on a superficial level, but by fumbling his way to this solution after eliminating obstacles to expression. Hey, I love both modes of music, myself, so I can appreciate that balance. It’s just rained here in Berlin, and I’m reminded of that feeling of relief when it rains after long periods of sun … and visa versa. Maybe music is the same way. Have a watch, and I’m sure you’ll want to pick up a guitar or laptop, or go to a beach, or take a personal field trip to the museum and stare at paintings. Painting with colors in sound … filling the world with oceans of your own expression. What could be more lovely?